Announcing: My September Book Stack! Can you believe it’s October, already? While this month surely flew by, this last week definitely took it’s sweet time. I’m already counting down to the long weekend, before I need to grab a stress day from work! But, September, the month from hell, is over! And with it, it’s taken away the summer weather (yay, Autumn!) and brought on the rain (yay, gloom!) and it’s brought on the September reads wrap-up! Considering my primary fear when starting work again was that I wouldn’t have time to dedicate to reading, and considering this month has been immensely crazy, I’ve actually made my way through a handful of books, this month! 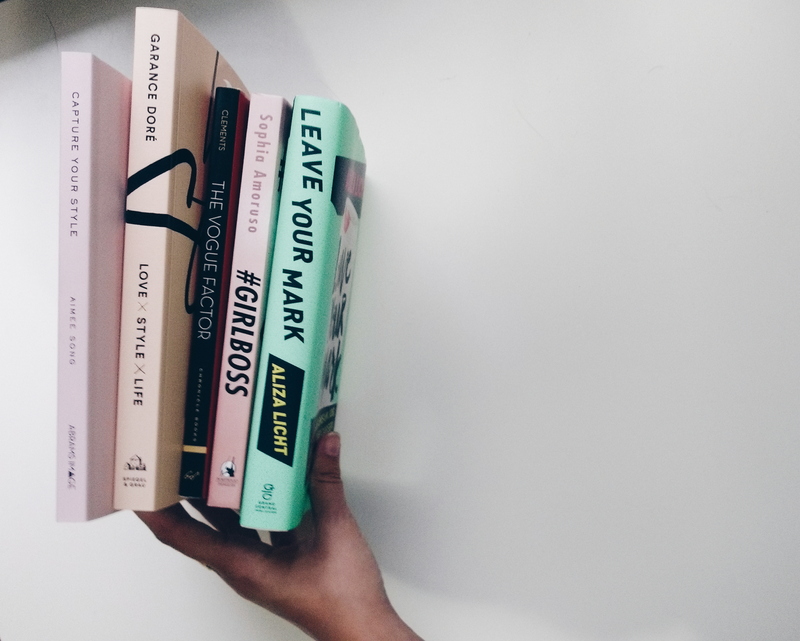 As you can see from the photo, the theme here is clearly Girl Power and I wrote a post here about all the amazing things that empowered women and their empowering books can do for someone. I think you should go read it! Not featured in this photo (because I was too lazy to go grab them from my bed stand…) are Blog Inc (not recommended unless you don’t know where to start when it comes to blogs) and a few books on grieving (one was a re-read of a book I’ve had an read years ago). I’m still waiting on the release of Nasty Galaxy, another book by Sophia Amoruso (inspirational girl crush alert!) as I’ve pre-ordered it and it should arrive on Wednesday (thrilled! ), but October colours, scents, and weather tends to push me in a more fictional direction. I have had a Neil Gaiman book for a while called The Graveyard Book (have you read it?) and I have The Blackthorn Key which is also waiting to be read. Maybe it’s time to sit with a warm drink and indulge in something a little more fantasy-based for this month. I guess we will see where my heart will lead me when this month is up and I do an October wrap-up! I think if I continue to make time for myself to read, write, and take it slow, I’ll continue to keep myself sane and inspired. Although waking up early is difficult in the first few moments of the alarm, it has been getting a lot easier. And I really don’t want to give up those morning moments anymore, so I suppose it’s been successful, as well. The mornings to myself, the lunch hours reading with my food, and a few minutes in bed before I go down for the night have been rather consistent reading hours. At 4pm, every day, when I used to get home from work, my alarm on my phone would go off to remind me to call my grandmother, as I mentioned in a previous post. Maybe if I dedicate those 15/30 minutes (sometimes 1hour) that I used to spend on the phone with her as a moment of contemplation, of dedication to myself and my own sanity through reading and writing, it can be a way to honour her, the memory of those moments together through the phone lines, and the sacredness of those post-work minutes, without mourning her. And maybe it would get my wrap-up pile for October to be larger than this September small-pile disappointment! Can you recommend any good books to me? I will read anything! But my favourite books genres are classic fiction, fantasy, memoirs, spiritual, Paris-themed, and self-help books! Novelty Bags – Unusual, Practical & Beautiful! Skin Breakthrough! – Kiehl’s is Outstanding Quality! Awesome! Thank you so much! I’ll definitely have to check them out. I’ve read -and loved!- the Four Agreements but I’ll have to check out Sarah’s key… And thanks for sharing that website! 😀 You rock!